Publishing Strategies Seminar with Dr. Patrick Goymer, Chief Editor of Nature Ecology & Evolution. Dr. Goymer will discuss what editors are looking for in submitted manuscripts and how authors can best navigate the publishing system, followed by a Q&A and discussion. There will be two seminars, a morning seminar for early-career faculty that do not yet hold tenure or have been in their academic appointments for less than five years, and mid-career and established researchers. Register for the early career seminar. Register for the mid-career and established seminar. Food from Thought’s research assistants will display the outputs of their community projects from the academic year in collaboration with the Arrell Scholars and their respective community partners. Food from Thought is pleased to support Pint of Science, an international event held in cities around the world during May 20-22. 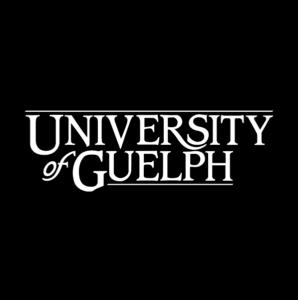 Scientists from the University of Guelph will give interactive, engaging demonstrations at pubs throughout the city, bringing their knowledge on food and sustainability directly to members of the community. Themes of the talks are: Our Body, Our Society, Atoms to Galaxies, Tech Me Out, Beautiful Mind, and Planet Earth. Tickets are FREE for this not-for-profit event. Food from Thought is pleased to sponsor Using the Power of Data for Making Food Sustainably. Join food and beverage professionals from across Canada to learn how technological innovation and big data can minimize environmental impacts, improve business competitiveness and address global mega challenges facing the food system. The show offers “one-stop shopping” for farmers and highlights the most innovative and technologically advanced agricultural products and services available. The University of Guelph Bean Breeding program is inviting everyone to join the Ontario Pulse Committee for their tour of the Elora station field trial site, on Thursday August 23, 2018. This is part of an expanded invitation to the Ontario bean community to get an inside view of the testing procedure for registering new bean varieties in Ontario, to get a preview of the material in the bean breeding pipeline and to learn about the latest bean genetics research at the University of Guelph. Food from Thought is pleased to sponsor the International Conference on Precision Agriculture. Precision agricultural techniques, technologies, and applications continue to grow across the globe and so is the precision agricultural community. Help to shape the strategic direction of this major initiative.